It happens to everyone; there is so much on your mind, the door shuts, and the keys are stuck inside. Whether you are a residential or commercial property owner or have simply locked yourself out of your car, Toronto Certified Locksmiths are there to help. Toronto Certified Locksmiths are trained and equipped to protect you and your belongings by offering the following services for all types of locks: Emergency openings of locked doors, cabinets, drawers, etc. Repairing broken locks Replacing lost keys Installing new locks and lock systems Replacing old locks Unlock safes or other locking devices. 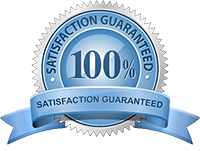 Licensed, bonded, and insured, you know that you are getting quality service with our locksmiths. They are available twenty-four hours a day, seven days a week to quickly and effectively take care of all of your security needs. No matter what type of locksmith service you need, you can count on Toronto Certified Locksmiths to deal with your situation in a timely manner, using the latest technology. You will always receive professional and reliable service at competitive prices. Whether you need lock picking at your home, car, or business, our locksmiths will be immediately dispatched to you upon receipt of your phone call.